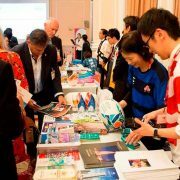 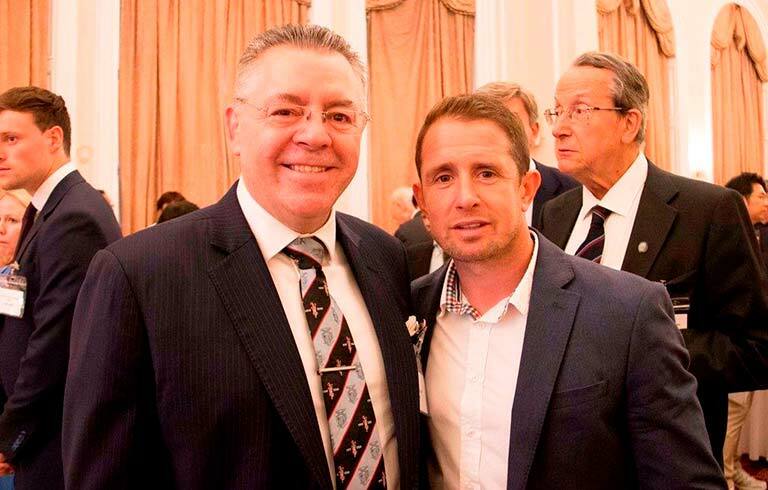 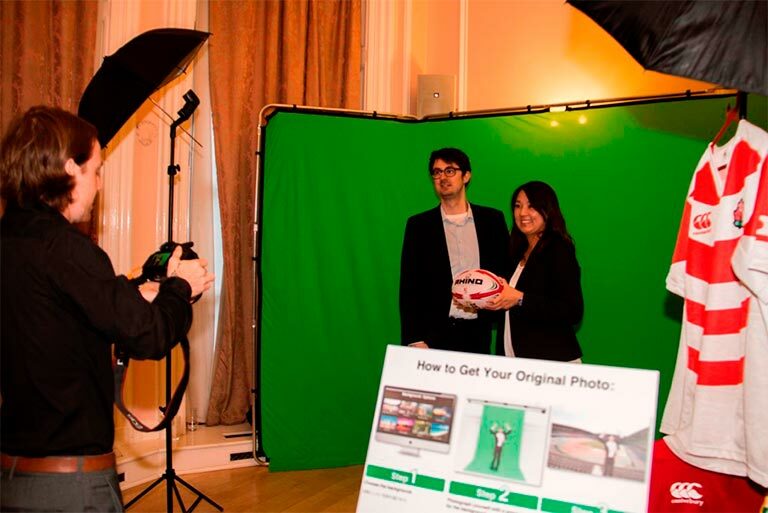 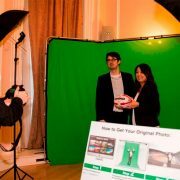 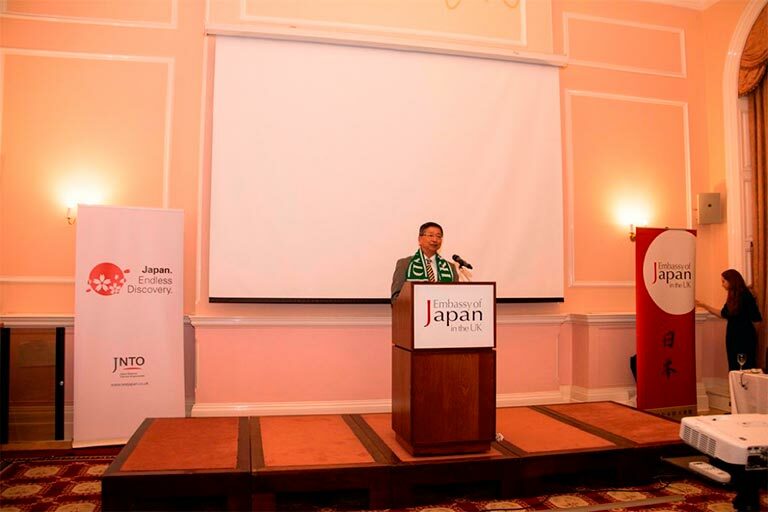 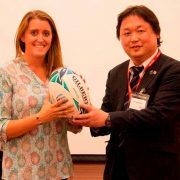 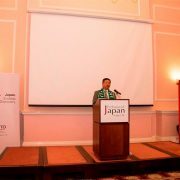 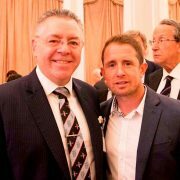 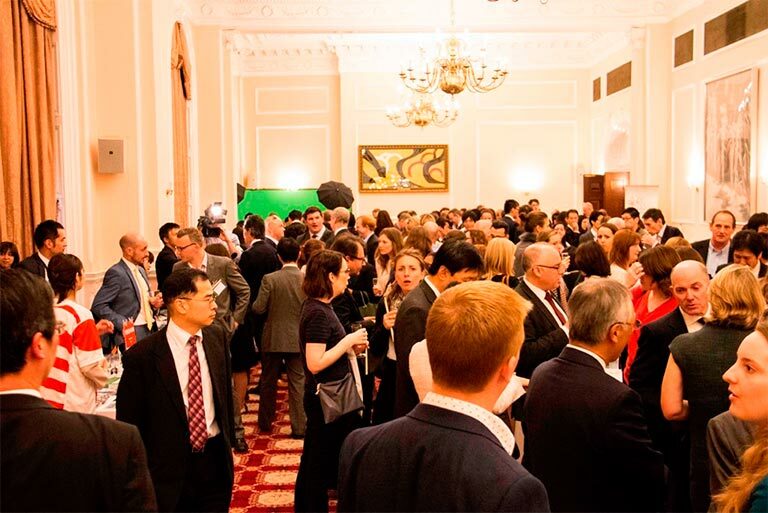 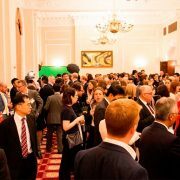 On the day of the World Rugby Cup 2019 Draw in Japan, the Japan National Tourism Organisation (JNTO) hosted a Japan Tourism Evening at the Embassy of Japan to which local dignitaries, tour operators and luxury hotel business were invited to boost the inbound tourism to Japan during Rugby World cup and Tokyo Olympics. 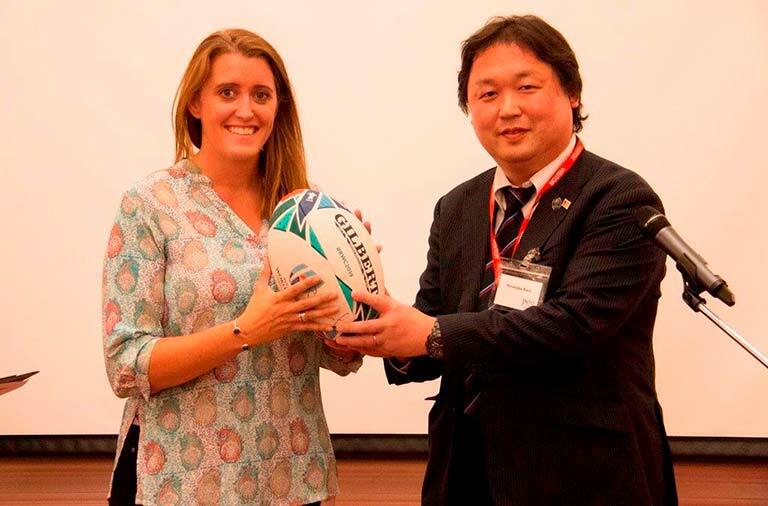 The twelve Japanese prefectures involved in hosting the 2019 Rugby World Cup include Tokyo, Fukuoka and Hyogo. 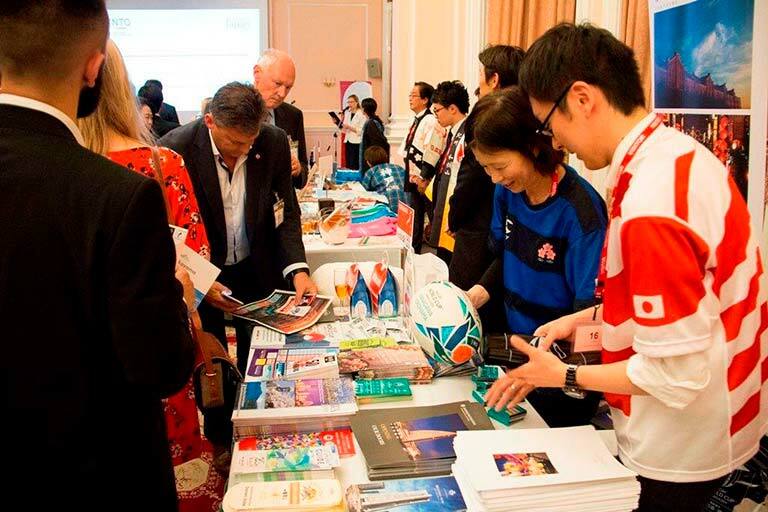 To promote awareness of each prefecture, the Japan Sake and Shochu Makers’ Association organised separate stalls for each prefecture to display their most popular sakes for guests to taste. 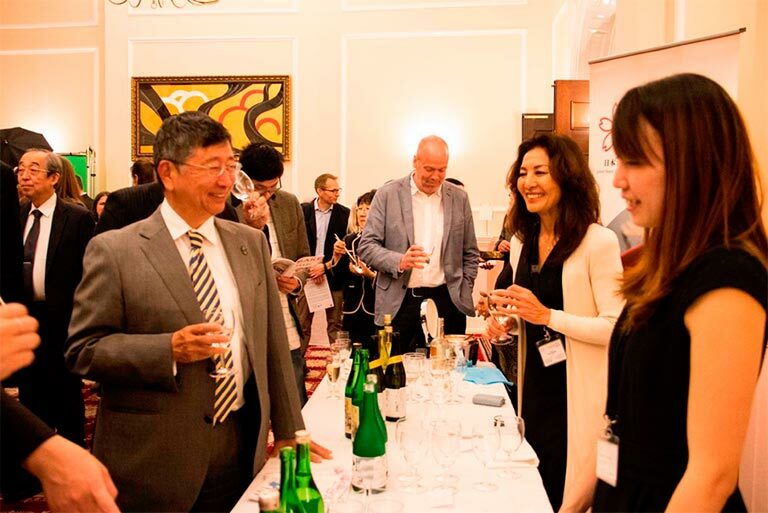 Sake has become an important way of representing local identity and sake tourism is becoming an increasingly popular way of promoting indigenous culture.